Even though, for a while now, foreclosures have been on the decline in St Louis as well as in most parts of the country, there are still many St Louis neighborhoods that are being impacted significantly by foreclosure activity. While after the housing bubble burst in 2008 we foreclosures appeared in most every neighborhood in St Louis from areas with the lowest values to areas with the highest, there has been a concentration of foreclosure activity in a few areas of St Louis. 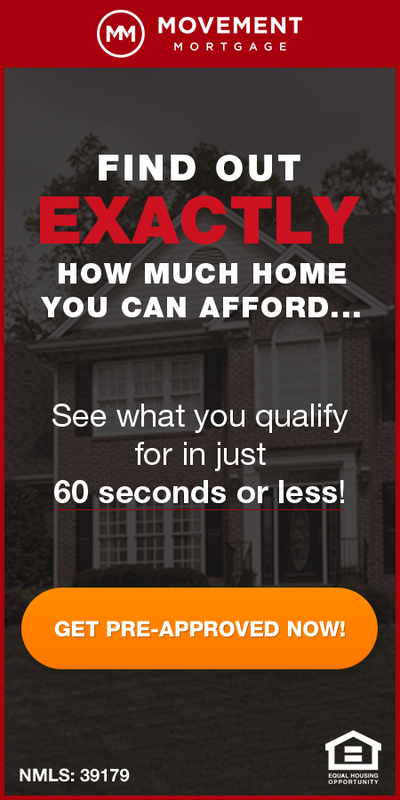 The city of Florissant, for one, is an area that has had more than it’s fair share of foreclosure activity and has seen pretty severe impact on home values there as a result. 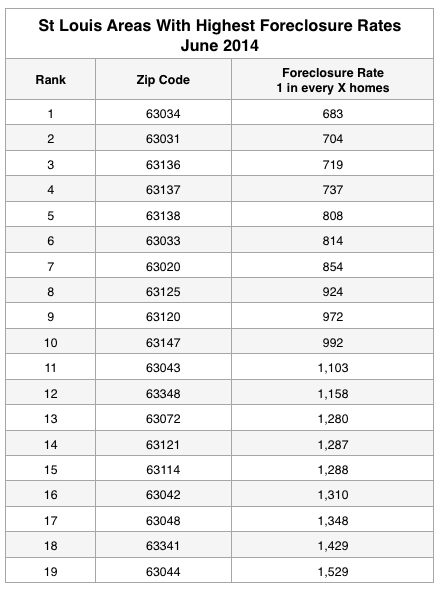 Which St Louis Neighborhoods Have The Highest Foreclosure Rates? As I mentioned previously, Florissant has been pounded with foreclosures, however, as the table below shows, there are many areas throughout the St Louis area, including areas in St Louis City as well as the counties of St Louis, St Charles, Jefferson and Franklin, that are on the list of the 19 highest foreclosure rate areas of St Louis. Below the table is an interactive foreclosure map for Missouri where you can find foreclosure rates for any county in Missouri or, click on the county and find foreclosure rates for any area within that county.